Why double click when you can single click? No idea. I got the question from a customer, and it is possible so I thought I’d just make a tutorial out of it. I don’t have much else to say about this other than that this tutorial explains how you can turn the mouse into double-click, single-click. Let’s change mouse double click to single click. I have divided the tutorial in two. The techies is in short, and the dummies version is the same but with screenshots. Changing mouse click for the techies among us. 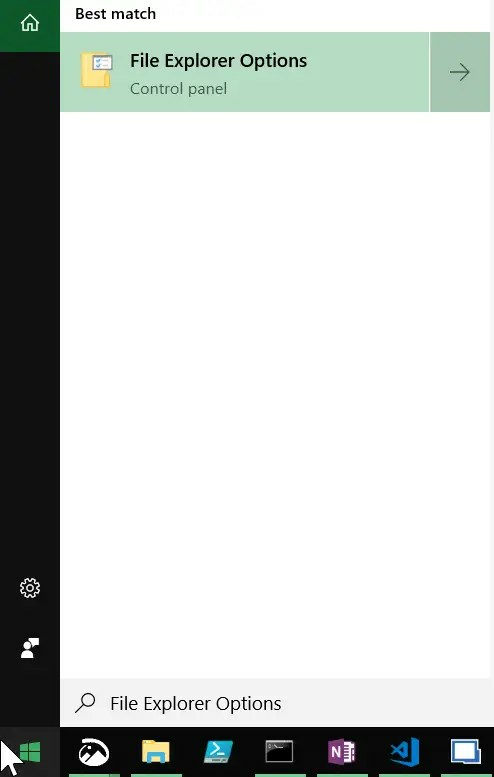 Go to Start and search for File Explorer Options. In the General tab select Single-click to open an item. For if you really need the screenshots, see below for the dummies. 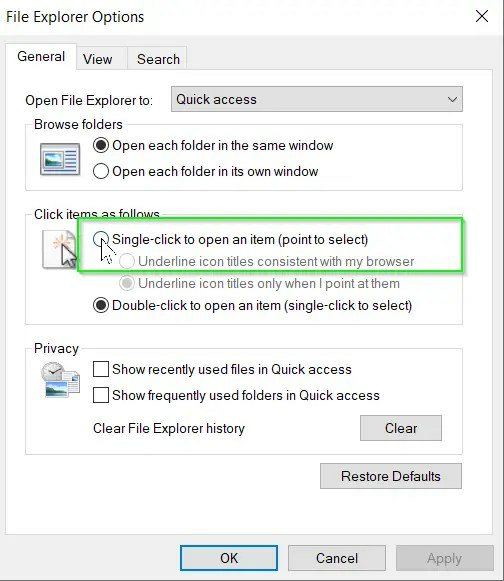 There are several ways to change this option, but the simplest one is by going to Start and search for File Explorer Options, such as the screenshot below. Change mouse double click to single click in File Explorer Options. In the General tab you will see Double-click to open an item selected at Click items as follows. Select Single-click to open an item instead. As in the screenshot below. Do you have more of these settings or ideas that you would like to see changed, but you don’t know how? If you want to adjust even more, but cannot find a good explanation or tutorial, you can also leave a comment and I will see what I can do for you.